Your kitchen is where style is defined as the sum of form and function. Here is where science and art come together for all your guests to see. Rhino Builders is the key to that equation. Rhino craftsmen know what works well in the kitchen and they have years of experience to draw from. We'll help you focus on the kitchen remodel ideas that add up to a smart, stylish kitchen! 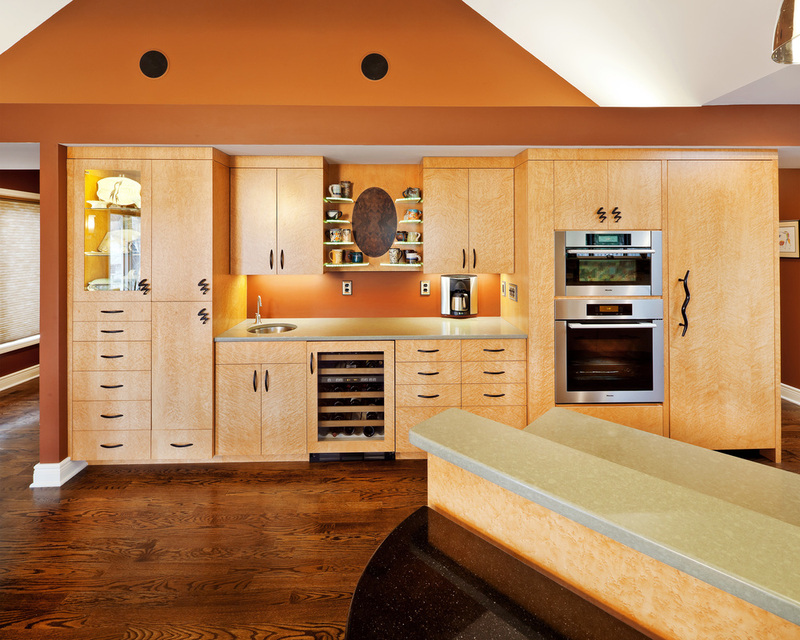 Visit our Gallery for more Kitchen Remodel Design Ideas! Bird's-eye maple cabinets in custom European-style flat fronts.